Visitors don’t usually come to Ipplepen in winter not even to get away from their families over Christmas and the New Year. If they did they would find it very different to the summertime when the village is in full bloom and really – except for the number of cars – a fantastic reminder of what rural village life looked like at the turn of last century. Perhaps what puts people off is the fact that in December the winter sun has set by mid-afternoon that limits the opportunity to walk across Dartmoor which is only twelve miles away. Mind you if they did walk on Dartmoor at this time of year they’d need to be wrapped up in heavy duty waterproofs to protect them against not only the driving rain but also the piercing wind. For those who don’t know the winter wind in Devon is very lazy. It doesn’t even attempt to go around choosing instead to take the shortest route straight through you. Ipplepen though is worth visiting in December. 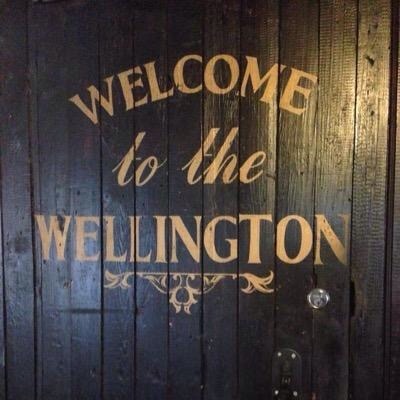 What better way to spend time than to settle into a chair in the Wellington heated by open log fires and let your cares dissolve as you sink an excellent pint of beer. And if you are looking for a typical English Christmas village atmosphere as seen in numerous paintings down the centuries then you’ll find it in Ipplepen in December. There is of course not only the village to enjoy with Orley Common a mile away and views down the valley from the play area which in-spite of being drained of a great deal of colour as the photosynthesis has closed down until the spring are still magnificent. Leafless trees stand on the sky line as sentinels against the winter winds and as the hedgerows have died and been cutback bare dry stone walls have been exposed, much to the joy of motorists who are never sure on the narrow roads and lanes around the village just what lies behind the hedgerows. Which makes it even easier for visitors to come and enjoy what we in Ipplepen enjoy all the year around and if the worst comes to the worst there is always the pub.